Regular AC maintenance is the best way to ensure peak performance and trouble-free operation. Several maintenance tasks are best left to professionals, but there’s plenty you can tackle on your own. Here are a few AC maintenance tips to ensure your unit is running as effectively and efficiently as possible. Routinely replacing or cleaning your air conditioner is one of the most critical maintenance tasks that will improve the efficiency of your unit. Clogged or dirty filters will reduce your AC’s efficiency, so be sure to install one every month (or clean it if you have the washable type). Bear in mind that filters may need more attention If your AC is subjected to dust, is in constant use or if you have pets in the house. Nonetheless, check the manufacturer instructions to establish the frequency of filter change that’s right for your system. Most air conditioning systems have the condenser unit located outside the house. Over time, things like dirt, grass and leaves will build up on the outside of the unit, reducing airflow and decreasing the system’s capacity. Spare some time every so often to trim shrubs and get rid of other dirt and debris from around the AC to allow for the free circulation of air to and from the unit. The air conditioner evaporator and condenser coils move hot and cold air, so you want to ensure they’re not clogged with dust and dirt. Dirt in the coils will insulate the coil and reduce airflow, significantly reducing its heat-absorbing ability. Outdoor condenser coils can also accumulate a lot of dirt and grime if they’re in a dusty surrounding. Bring in the pros to inspect your AC at least once a year to ensure it is in tip-top condition before you turn it on. Failing to maintain your unit may shorten its lifespan or lead to premature failure. Annual inspections by professional contracts will typically go beyond merely cleaning filters. Your contractor will clean and inspect coils, adjust and replace fun belts, lubricate motors and bearings, inspect safeties and controls, check refrigerant and pressures, check fans and blowers and verify operating temperatures. Most air conditioners use a refrigerant called Freon. Without the proper amount of refrigerant, your unit may be unable to cool your home effectively. If you suspect low refrigerant levels, call a professional to add refrigerant. Refrigerant issues are best handled by professionals so make sure you have a reliable contractor you can call upon whenever you suspect low refrigerant levels. Pre-season maintenance is also essential. Experts recommend having your AC tuned up in the Spring as well as in the Fall. Pre-season tune-ups play a critical role in helping to lower your energy bills and also helping to avoid a system failure in hot or cold weather. 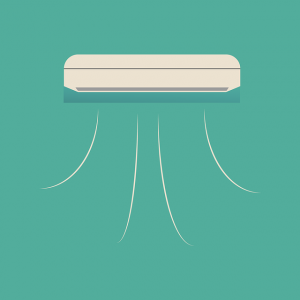 Follow the AC maintenance tips above to improve your comfort and the efficiency of your unit.